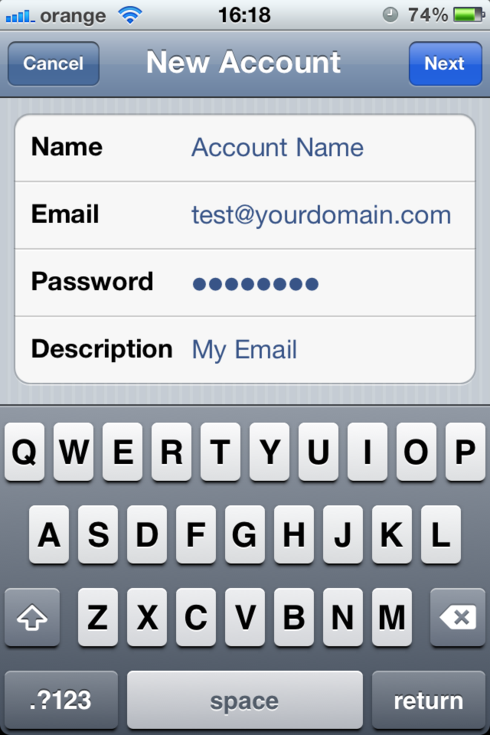 The following article from Web24 explains how to setup an email account for your iPhone. Tap on Settings on your home screen. 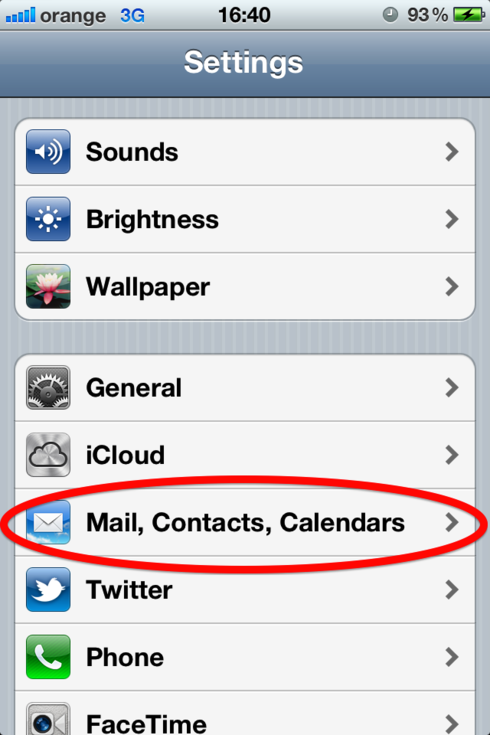 Go to “Mail, Contacts, Calendars”. Tap on “Add mail account”. 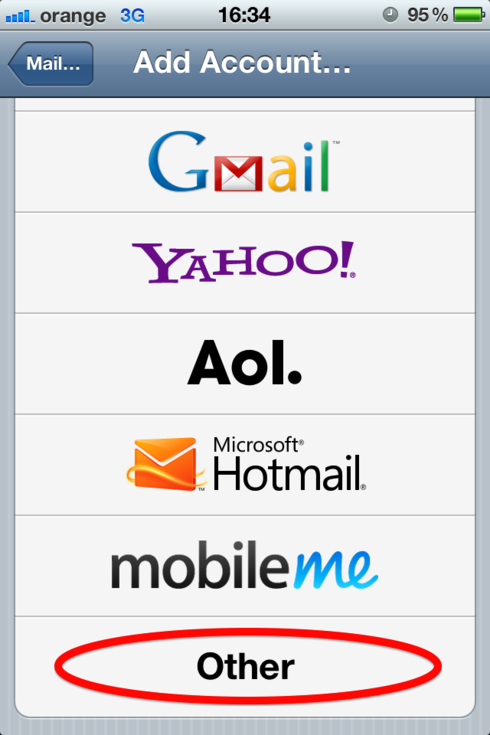 Select “Other” from the email providers list. 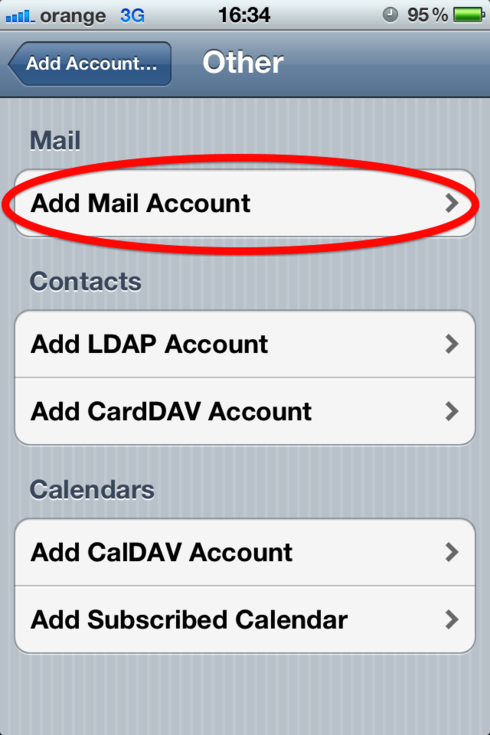 Make sure the IMAP account type is selected at the top. 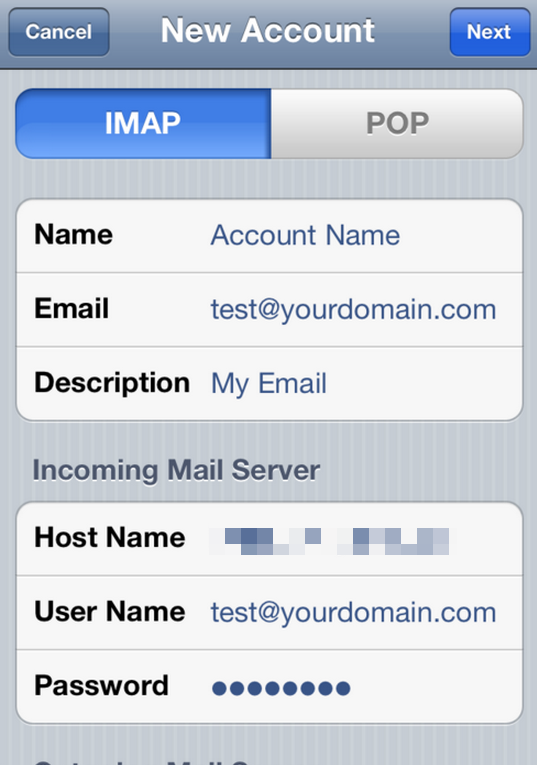 Enter the following information in the “Incoming Mail Server” Section: Host name: mail.domainname.com (Replace domainname.com with your actual domain name). 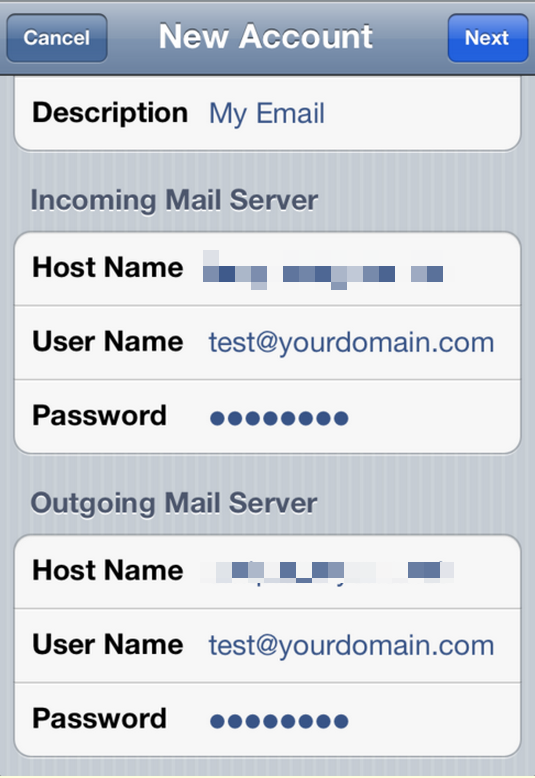 Enter the following information in the “Outgoing Mail Server” Section: Host name: mail.domainname.com (Replace domainname.com with your actual domain name).